POWER utility ZESA has fully-staffed public relations departments at its subsidiaries but Energy minister Samuel Undenge still ordered the parastatal hire a public relations firm owned by a ruling party legislator, it has emerged. According to the Herald newspaper, the beneficiary of the bizarre arrangement is a firm called Fruitful Communications which is owned by Zanu PF legislator Psychology Maziwisa and a ZBC news presenter. 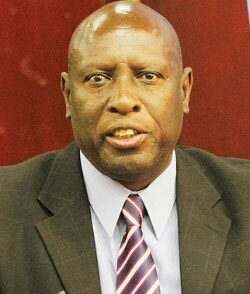 Minister Undenge ordered ZESA to engage the company in January this year, according to a letter seen by the Herald. The minister reportedly wrote: â€œThey (Fruitful Communications) have done publicity work for the Ministry of Energy and Power Development by putting me, as the principal voice at the forefront of explaining our vision as well as the different interventions that are currently being undertaken by the ministry. â€œWe are doing consultancy for them,â€ he said. Minister Undenge claimed that the company was doing the PR work for free, before backtracking. â€œThey are people in public relations and there is no formal contract with anyone and if anyone wants to help for free, we allow them to do that,â€ he said. However, told by the Herald that Maziwisaâ€™s company was paid for the job, Undenge recanted. â€œWell, pamwe vanenge vafunga panoda kuti paitwe something I donâ€™t have that detail.